UK house prices continue to rise, with property prices in the three months to October 2.3pc higher than in the previous three months, according to Halifax. The bank said that this was the fastest price growth, on this measure, since January. On an annual basis, property prices are 4.5pc higher, making the average house price today £225,826, the highest figure on record and 2.8pc higher than in January, when average prices were around £5,000 less. Halifax said that growth was being driven by the lack of supply in the market combined with historically low mortgage rates and a high employment rate. These factors “continue to support house prices and [are] likely to do so over the coming months”, said Russell Galley, managing director at Halifax Community Bank. “The annual rate of growth has continued to rise for the third month in succession, rising from 4pc in September to 4.5pc in October,” he said. The Bank of England last week raised interest rates for the first time in a decade in order to curb high inflation squeezing UK households. The base rate increased from 0.25pc to 0.5pc, with many mortgage lenders reacting by increasing the rates on their products instantaneously – prompting fears that homeowners could face significantly higher bills, which could also put off potential first-time buyers. 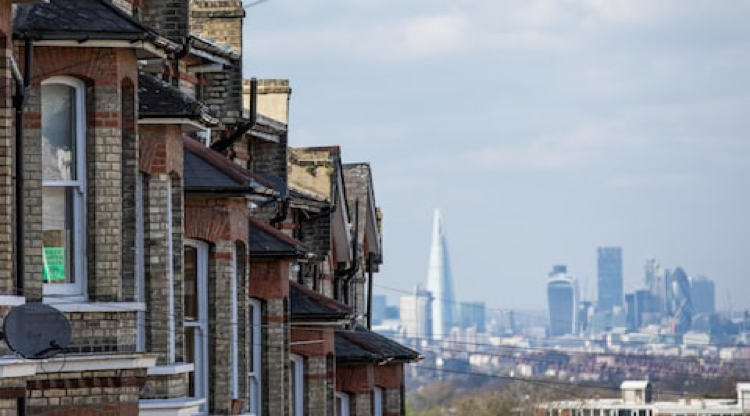 Last week, Nationwide’s house price index pointed to similar data that showed house prices in the UK saw a slight pick-up in growth, however it said the outlook for the housing market remained subdued. Alex Gosling, chief executive of online estate agents HouseSimple, said at the time that this was a ”housing market which feels flat and in need of a spark”.